After finding out about the Super Robot Junior Machinder made by Oklahoma Toys of Argentina, I began searching in South America in earnest, in the hopes that there would be Jumbos that had so far gone undiscovered. At this point, the Argus toy from Brazil had already been seen, so I thought the chances of there being something else from Argentina might be good. I was right. 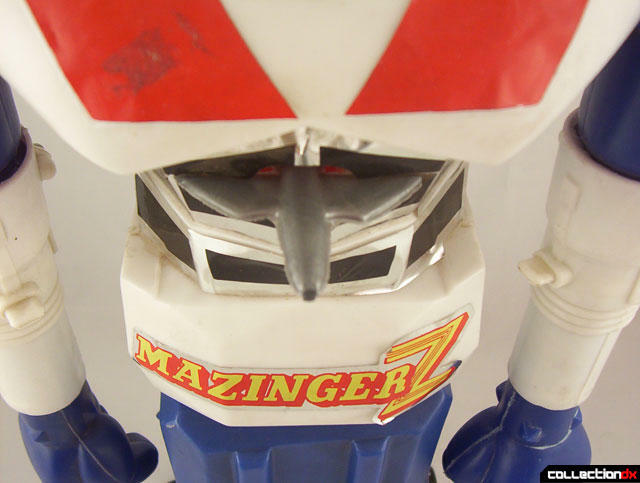 One day while scouring auctions in that country, I saw a blurry photo of what was one of the ugliest toy renditions of Mazinger Z I'd ever seen. But I immediately recognized the mold of the toy. It was the same as Argus Machinder (which in turn incorporates the torso of the Popy Reideen). But the head was of a completely new sculpt. This specimen of the toy that I'd found was in very poor condition. It was missing both arms, nearly all the stickers and was scuffed up very badly. Furthermore, it had no packaging of any kind so I was unsure what it was actually called. 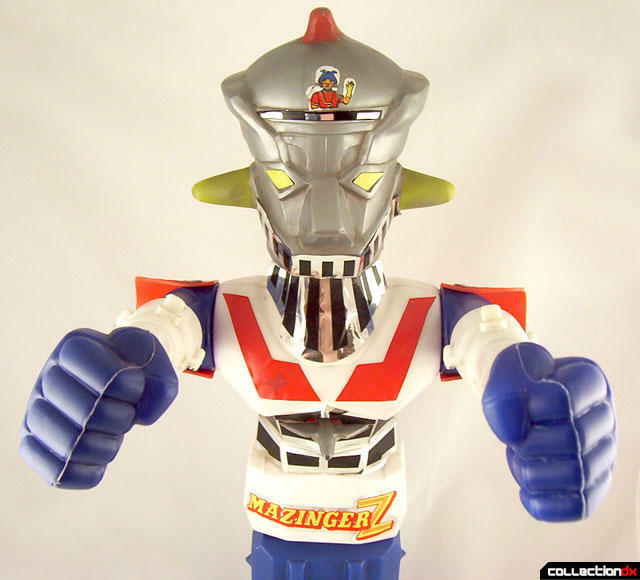 Since it was basicallly a recolored Argus with a giant Mazinger Z head on it, I jokingly referred to him as "MazingArgus", and for awhile, the silly name stuck. But in my subsequent searches for an upgrade, several more examples surfaced and ultimately I was able to get one that was in very good condition, and I even located a couple of boxes. 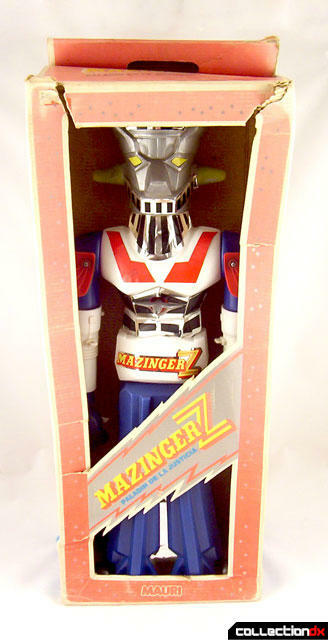 Much to my surprise, the toy was simply called "Mazinger Z: Paladin de la Justicia" and was in fact licensed from Toei Animation! The company that released it was called Mauri. 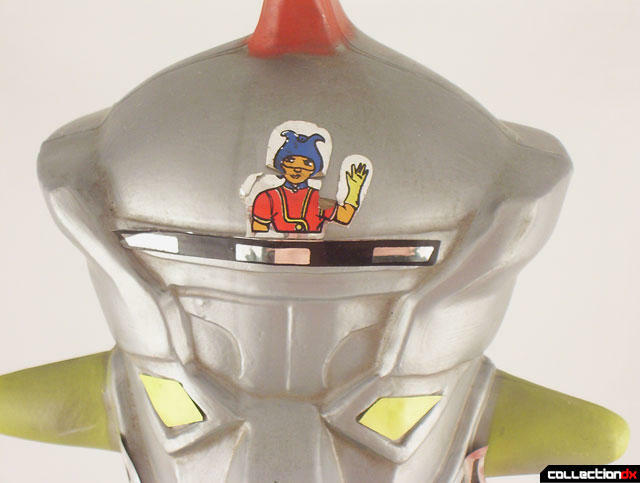 One of my favorite things about it is that, much like the Ring Toss Mazinga jumbo from Italy, this one also features a sticker of Koji Kabuto as he pilots the robot. But for added silliness, this one is actually waving at your from the cockpit! Another interesting thing about this toy is the box. Unlike traditional jumbos, this came sold in a large box with a cellophane window on the front, which is sadly missing from my specimen. I believe the only other jumbos known to be sold this way are the Mattel Astro Robots. Since this toy uses the body of the Reideen jumbo, it also incorporates the same missile launching mechanism in the stomach, but this has been broken on every specimen I've had. The plastic here seems very brittle for some reason. Also the bird missiles included are molded in silver, making them unique from the originals, which were yellow. The firing fists are also unique to South America. To date, only this toy and Argus use this exact mold. However, Mauri did also release an accessoy of sorts in the form of a gun that shoots a right fist of a Mazinger Z! 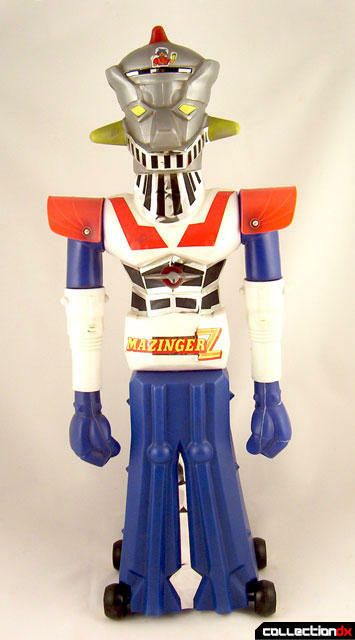 Mauri's Mazinger Z stands approximately 24.5" tall. Both fists launch and it's articulated at the neck, waist and shoulders. The horns on the head are painted, but the eyes are stickers. 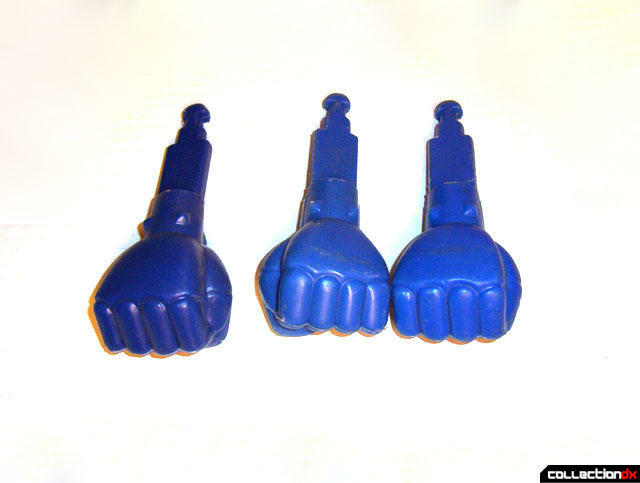 Some versions of the toy have slightly a slightly different shade of blue on the fists than others. It's tough to say how rare it is. I've only seen maybe 5-6 examples of it, but once it was initially found, several more quickly followed. This is a pretty ugly toy, but I really have a soft spot for it since it was sort of my own little discovery, justification for the countless hours I spend scouring obscure auction sites for toys I don't even know exist!